Rolls-Royce finally has an SUV in its portfolio. After keeping us waiting for a long, long time, the British marque has finally taken the curtains off the Cullinan. Well, technically, this is not the first time the Cullinan has been showcased: in December 2016, Rolls-Royce showcased a test mule of the Cullinan, giving us some idea about the luxurious SUV. The Cullinan shares its aluminium space frame architecture, called ‘The Architecture of Luxury,’ with the Phantom. 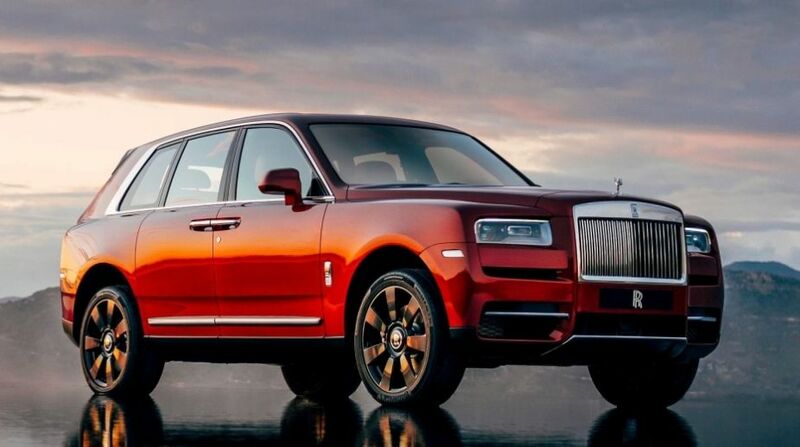 Design-wise, the Cullinan is not a big departure from its RR cousins, despite being an SUV. The front fascia comprises the signature Roll-Royce grille, which sits between the rectangular headlamps. These don’t appear as aggressive as those of the Phantom. The front doesn’t really give away the fact that the Cullinan is an SUV. It features suicide doors, a Rolls-Royce signature, and a sharp shoulder line running right across the length of the SUV. At the rear, it has a protruding boot which is reminiscent of the D-Back Rolls-Royces of the 1930s. The style of the tail lamps is similar to other RR cars. At 5341mm x 2164mm x 1835mm (LxWxH), the Cullinan is 200mm longer and 166mm wider than its closest rival, the Bentley Bentayga. Its wheelbase is also longer by 303mm, at 3295mm. The Cullinan also offers a larger boot than its rival at 600 litres. The Cullinan’s interior is classic Rolls-Royce as it features wooden inserts on the dashboard, central console and door trims, and the quintessential Rolls-Royce watch on the dash. There’s an all-digital instrument cluster and a touchscreen infotainment system with navigation, which is a first for Rolls-Royce. Despite being an SUV, and a large one at that, the Cullinan is still a five-seater. However, you can opt to replace the rear bench and opt for individual seats in the second row. 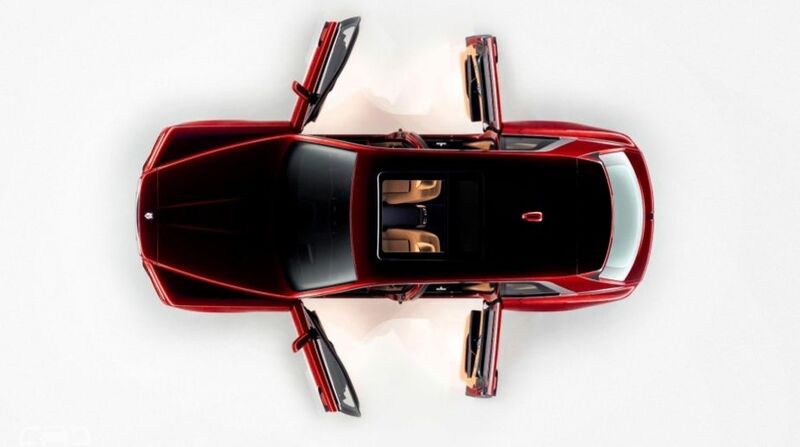 Since it’s the first time Rolls-Royce owners will share cabin space with luggage, the Cullinan gets a glass partition that isolates the passenger cabin from the luggage compartment. Apart from making the second row more silent, the glass partition helps in maintaining the temperature of the second-row even when the tailgate is open. Intelligent. The rear seats of the Cullinan belong to the owner. These are placed higher than the front seats in order to provide the rear occupants with a grandstand-like view of its surroundings thanks to the large windows and a panoramic sunroof. To match different lifestyles of its owners, the Cullinan also gets a Viewing Suite wherein two leather seats and a cocktail table can come out from the Cullinan’s luggage compartment at the touch of a button. The Cullinan is powered by a 6.75-litre V12 petrol engine that makes 571PS of maximum power and 850Nm of peak torque. Since it is an SUV, it gets a four-wheel drive system, a Rolls-Royce first. It also gets electronically controlled shock absorber adjustment system that uses an air compression system to actively push down any wheel it detects losing traction, to ensure every wheel is constantly in contact with the ground. This allows the SUV to tackle any situation, whether it is a rough track, gravel, wet grass, mud, snow or sand, easily. Thanks to the variable ride height, the Cullinan has a water wading capacity of 540mm. To offer top-notch on-road experience, it is also equipped with a redesigned (compared to the Phantom) air suspension system, which continuously varies the electronically controlled shock absorber adjustment system – reacting to body and wheel acceleration, steering inputs and camera information. This coupled to four-wheel steering makes the 2.5-tonne SUV nimble and agile to drive, claims the British carmaker. Rolls-Royce claims that the Cullinan is the most advanced luxury SUV in the world. It comes with a host of driver assistance and safety systems such as night vision and vision assist including daytime and night-time wildlife & pedestrian warning, alertness assistant (a 4-camera system with panoramic view, all-round visibility and helicopter view), active cruise control, collision warning, cross-traffic warning, lane departure and lane change warning, 7×3 high-resolution heads-up display and WiFi hotspot. Rolls-Royce has not said anything about the Cullinan’s pricing but expects it to be priced around Rs 5 crore when it comes to India. At this price, it will be about Rs 1 crore more expensive than its closest rival, the Bentley Bentayga, which is priced at Rs 3.85 crore (ex-showroom India). As far as India launch is concerned, the Cullinan SUV is expected to be here by the end of this year.